Designer of funky folk shawls with delicious contemporary twists, Lucy Hague knows her way around a ball of yarn. Read more about her inspirations, designs, and motivations. Click here to see all of her fabulous patterns! Hello Lucy! Tell us a little bit about yourself – what’s your story? I grew up in the Orkney islands, off the north coast of Scotland, and I currently live in Edinburgh. I moved here to study Music Technology at the University of Edinburgh, and music is still a very big part of my life – I play in a number of different bands, mainly Pictism and Jacob’s Pillow (a mixture of folk and rock music), and I find that it fits in very well with my design work (many of my pattern samples have been completed on the road between various gigs across Scotland!). I feel very fortunate to be living in Edinburgh – not only is it a beautiful city with a rich and complex history, but it’s become a real hub for knitters in recent years. We have the wonderful Edinburgh Yarn Festival, first held in 2013 and repeated again with enormous success this year, and also a string of fabulous independent yarn shops (Kathy’s Knits, Ginger Twist Studio, Be Inspired Fibres) who are teaming up this year for a Yarn Crawl event (June 13 – 14). Not to mention, there are quite a few independent designers (like myself!) living and working here. It’s become a very knitter-friendly city in recent years! When did you first pick up your needles? My mother taught me to knit and sew when I was very young (so young that I don’t remember learning!). It was something that I gradually lost interest in when I got older. I started to rekindle my interest in textile and fibre crafts in about 2005-ish – I think this was around about the time that knitting really started to take off again in the UK. I was driven by a desire to express my individuality by making and wearing my own clothing and accessories – I made some really weird and wonderful things (I still proudly own a skirt that I hand-sewed together out of 25 individual ties!). How did you find yourself designing knitwear – did it start with the tie-skirt? At the time when I began to rediscover knitting, most of the immediately available patterns were quite simple and aimed at beginners – I soon found myself wanting to knit more complicated designs, but there wasn’t the same instant access to such a wide range of downloadable patterns that we have these days, so it was fairly natural for me to begin altering and adding things to the patterns I was working from, and then eventually designing my own knitted items from scratch. I think it’s worth pointing out that designing and knitting something original (which is a skill that I think many advanced knitters eventually acquire) is quite distinct from the skill of being able to clearly write up your design as a pattern. I started writing patterns for my designs because I was fascinated by the process. I studied computer programming as part of my Music Technology degree, and it seems to me that a similar style of thinking and logic is required, whether you’re parsing a statement in knitting language or parsing it in a programming language! So, I began writing patterns almost as an intellectual exercise more than anything else, just to see if I could do it, and then I started getting requests for my patterns from people on Ravelry, so I started to put more focus into developing my pattern-writing skills. I think throughout my life there’s been a certain tension between the artistic side of my mind and the mathematical side of my mind – and designing and writing knitting patterns is the perfect balance of the two. You describe your biggest influences as Pictish and Celtic artwork. How do you go about incorporating your influences into your designs? I learnt to draw in the Celtic/Pictish style from reading the works of George Bain, and it’s an artistic style that I find endlessly fascinating – it’s very abstract and beautiful, but underpinned with a lot of order, logic and geometry. Everything that I knit has to be drawn a few times first – I’m not sure why this is, but I find it impossible to create a cable stitch pattern without having first sketched out the whole design – there’s something about drawing a design that seems to make it easier for me to wrap my head around all the various interlacings! The process by which I turn a sketch into a knitting chart is long and involved, and quite difficult to describe – it’s something that has taken me years to develop and I’m still learning and improving my methods. I think Morvarch may be my most popular pattern. It’s quite difficult, but I think it really appeals to process-knitters (i.e. people who enjoy kniting specifically for the process of construction) – not only does it have a lot of difficult cables, but also the construction is quite unusual – it’s done in a lot of separate pieces, so the whole experience of knitting the shawl is very varied, and you’re doing new things all the time. There’s also a couple of long stretches of plain knitting to give you a break! I think aesthetically the unusual construction is reflected in the look of the finished shawl, and people really respond to that. I know that a few knitters have made this as a bridal shawl (which, for a designer, is pretty much the highest praise there is; I love seeing photos of my work at weddings)! 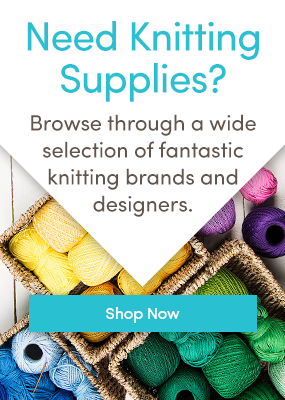 Are there any of your patterns that you’d recommend for knitters looking to try a new technique? Firiel is a good one for lace beginners, I think – the pattern is fairly simple and once it’s set up, the lace is quite intuitive and easy to memorise. My hat pattern Tallorcen is probably a good starting point to try out my Celtic-inspired cables. Do you ever find time to knit for yourself? What’s on your needles when you do? I can’t remember the last time I knit something by another designer, sadly (although I do love reading patterns and books by other designers, I find it really interesting to see how different minds tackle designing and pattern-writing). I can’t complain too much, because self-publishing means that I have the freedom to focus on designing and knitting things that I really love. I do sometimes design and knit things (usually gifts for friends or family) without writing up the pattern, and that can be fun because I don’t have to concentrate too hard on writing down all the details (it can be annoyingly difficult to get out of the pattern-writing mindset sometimes, though!). That’s a difficult question! I suppose something like a finely spun lace-weight wool from an island-dwelling sheep breed like North Ronaldsay (amazingly strange sheep from Orkney who live on the beach and eat seaweed!). They’re a bit weird and produce yarn that is quite soft to the touch but surprisingly sturdy too! Thanks, Lucy! If you adore all of Lucy’s patterns, check out her ebook, Celtic Cable shawls, stuffed full with 7 gorgeous patterns, including some of the designs featured in this post. Click on the image below to purchase and download the ebook! Last updated: June 3rd, 2015. Really enjoyed your work Angelina. It’s intelligent, beautiful and uses indigenous yarn and design. However, I think I shall leave such a complex design until my next life, as much as I admire your creative endeavours. I hope you continue to enjoy life on the couch with your knitting yarns and tools. Warm wishes. PS my facebook site is Mrs Monet’s Garden, and I am in Bunbury W Australia, by the Indian Ocean and remnant native forest where I love looking out for native bird life and bush orchids and wildflowers! The magnific shawls are works of Art !!!! I love Lucy Hague’s designs. She is truly gifted.